thermal imager and humidity probe. 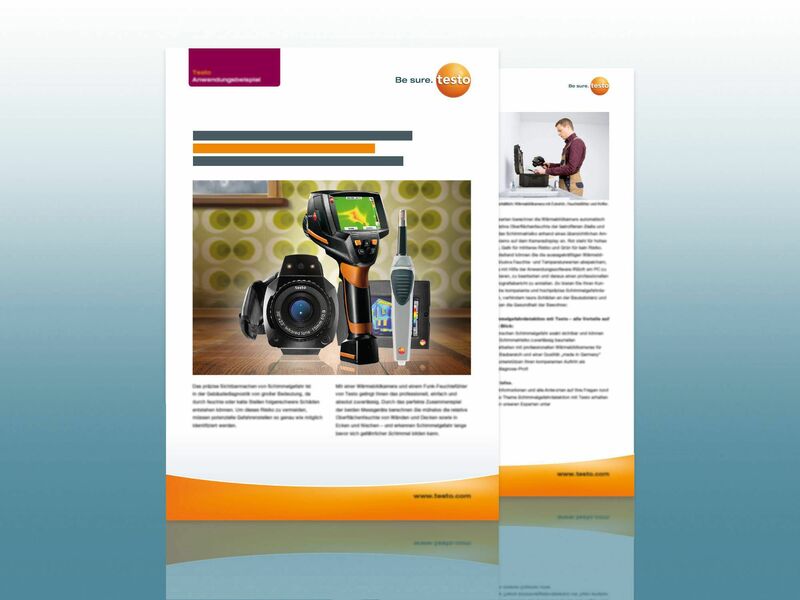 Professional mould risk detection with Testo. 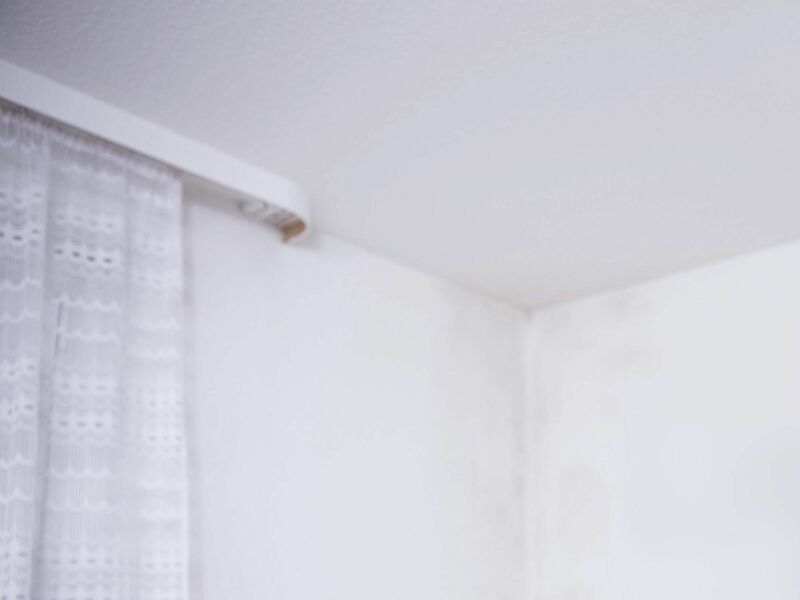 The precise visualization of mould danger is of great significance in building diagnosis, as lacking or inaccurate analyses can cause damage with serious consequences. In order to avoid this risk, potential risk spots have to be identified as exactly as possible. With a thermal imager and a wireless humidity probe from Testo, you can do this professionally, easily and absolutely reliably. Mould can form anywhere where too much moisture occurs e.g. on walls or ceilings. Causes for this can be insufficient ventilation or cold bridges plus humid ambient air. Many damp spots are not identifiable with the naked eye, and can only be detected with professional measurement technology. 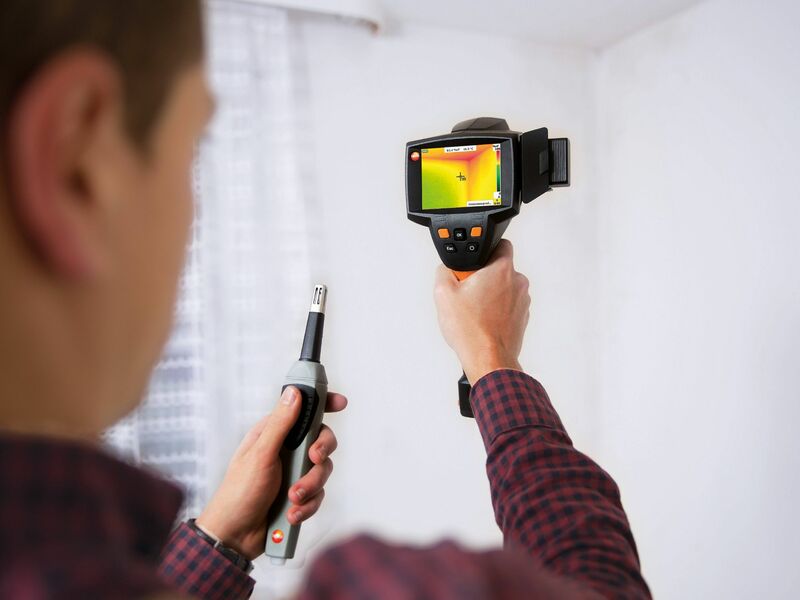 Thermal imager and wireless humidity probe reliably and exactly visualize mould danger. Using both measuring instruments together, the relative surface moisture can be easily calculated. Mould-danger spots are clearly presented in the thermal image using a traffic light system. 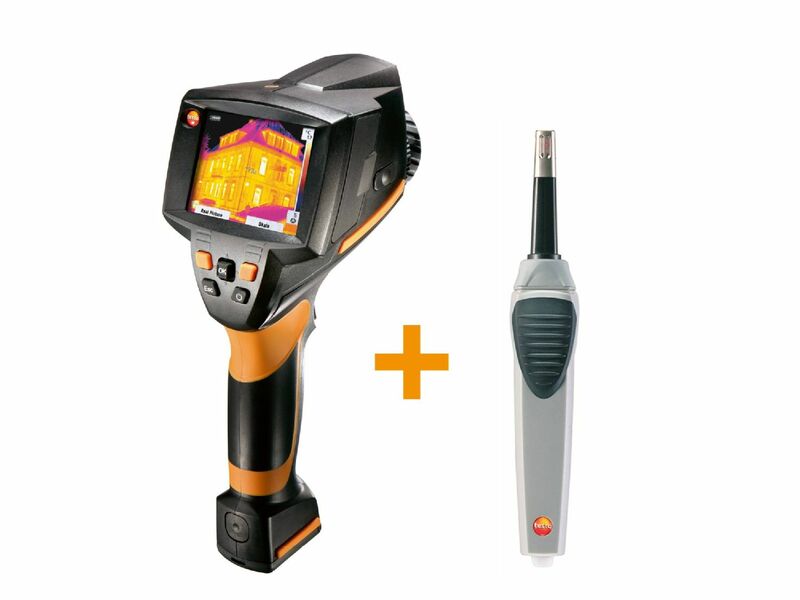 Complete set for building diagnosis pros: Thermal imager testo 885-2 or testo 875-2i incl. free wireless humidity probe and case. You work with outstanding image quality and SuperResolution technology for even more detailed thermal images. Incl. application software IRSoft for professional image processing, analysis and report creation. Select your imager and order your complete set. testo 875-2i thermal imager (including professional software, soft case, carrying strap, SD card, USB cable, lens cleaning cloth, mains unit, rechargeable Li-ion battery, tripod adapter and headset), wireless humidity probe, case. 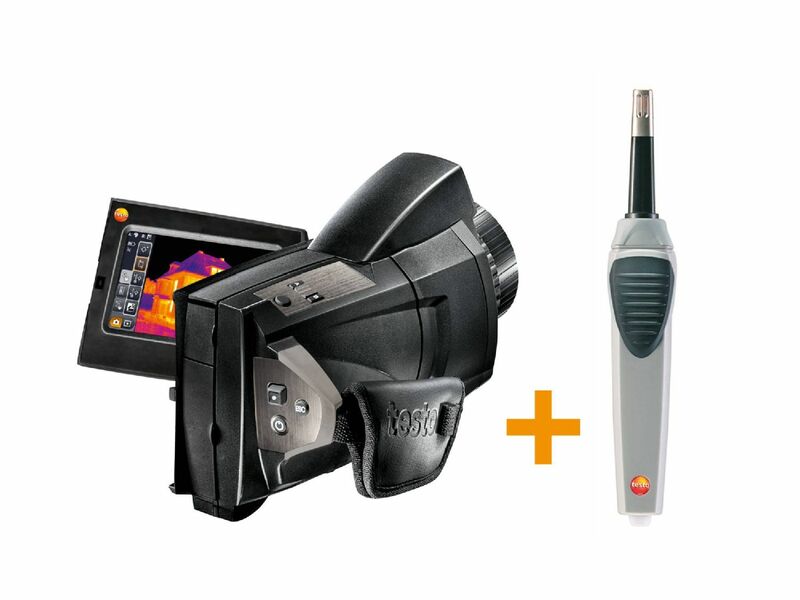 testo 885-2 thermal imager (incl. pro software, SD card, USB cable, carrying strap, lens cleaning cloth, mains unit, rechargeable Li-ion battery and headset), wireless humidity probe, case. 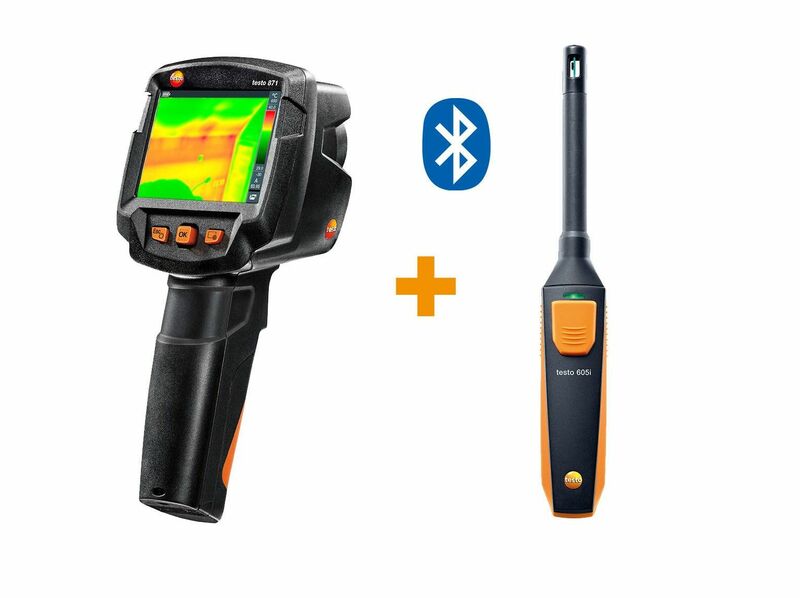 "Identifying mould danger more accurately – with thermal imagers and humidity probes from Testo"
testo 871 thermal imager with radio module for Bluetooth/WLAN(incl. USB-cable, mains unit, lithium-ion rechargeable battery, 3 x testo ε-Markers, commissioning instructions, short instructions, calibration protocol), wireless humidity probe, case. 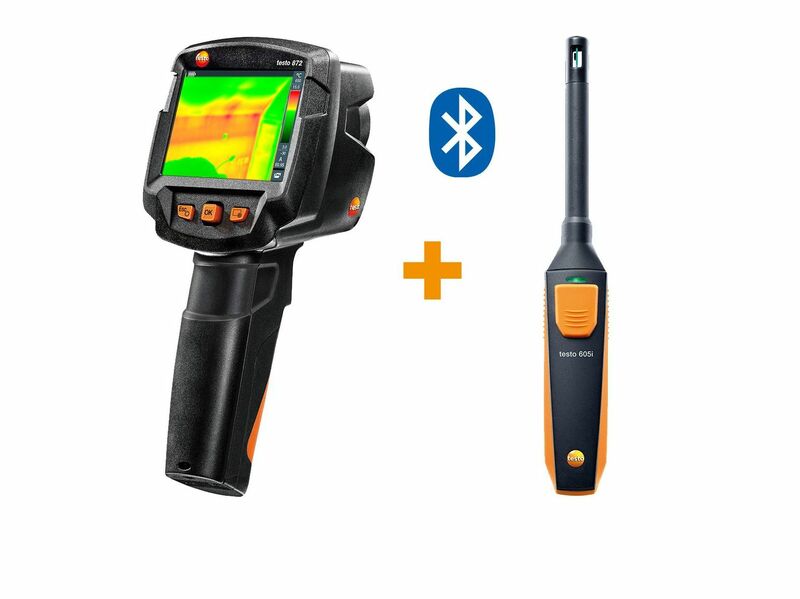 testo 872 thermal imager with radio module for Bluetooth/WLAN(incl. USB-cable, mains unit, lithium-ion rechargeable battery, 3 x testo ε-Markers, commissioning instructions, short instructions, calibration protocol), wireless humidity probe, case.